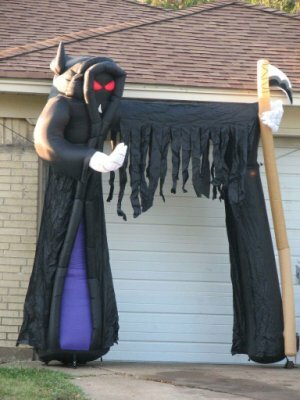 Browse: Home / Happy Halloween? 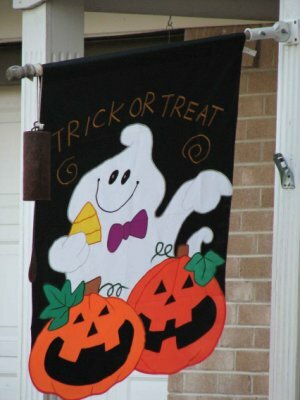 There are some who put up a banner as they probably do for any other holiday, or hang cute little spiders or ghosts from a tree – just enough to show that they enjoy celebrating…anything. 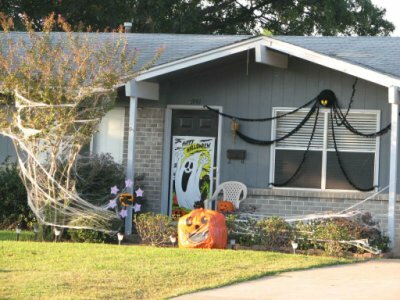 Others go a little farther, trying to send the message that they want the kids to come and get the treats at their house – who wouldn’t want to see a cute little kid dressed up and on a sugar rush? To a fantastic and gruesome display with over 20 figures that must have cost a thousand dollars! Do people ever think about what they are putting up? 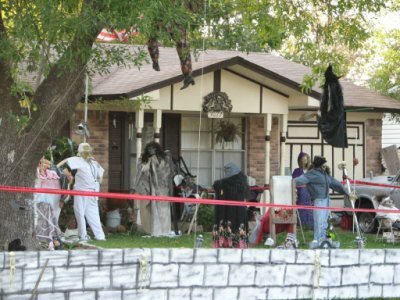 Do they think it’s funny and a little naughty to have beheadings, ghouls and Jack-the-Ripper in their yards? Or do they delight in the occult and revel in the chance to display nastiness and evil? The other thought line was spurred by our church search and seeing how many of them offered some sort of Halloween alternative -candy, booths, costumes, everything. They call them “Fall Festivals” or something like that. So I was thinking, should we as Christians join in what is recognized as a holiday honoring evil? Is this a great opportunity to witness through secular adaptation or is this really joining forces with the world? I was thinking that maybe this would be a good opportunity to teach our kids to stand alone and face “missing out” on what the world has to offer, rather than placate with a substitute that mars the line between good and evil. 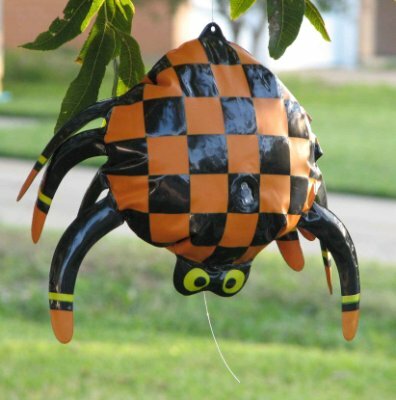 Let kids dress up, give them candy sometimes, and have a fall festival – but why not do it at other times than Halloween?